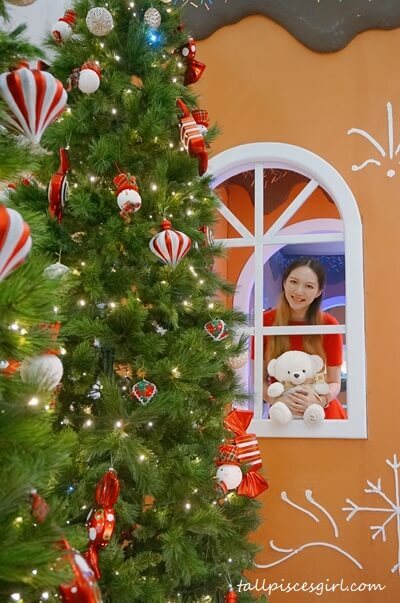 Main Place Mall, the neighborhood mall in USJ 21 is set to bring to life the magic of Christmas with endless Christmas treats from 21 November to 25 December 2018. 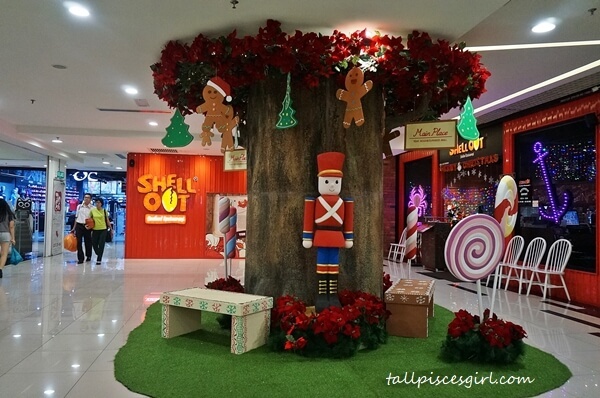 Immerse in the holiday vibes with ‘Treats of Christmas’ theme this year at Main Place Mall. 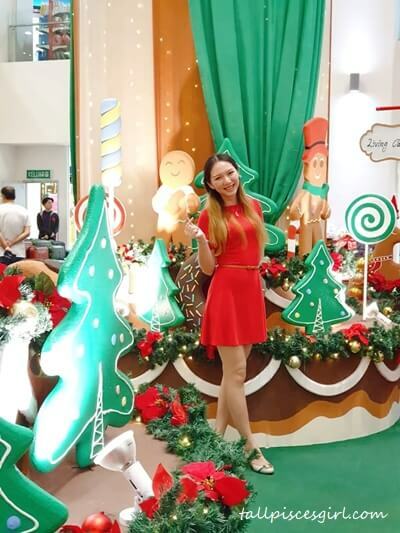 Shoppers will be greeted by the sight of life-sized gingerbread house bringing the joyful and festive season as shoppers experience the ‘Gingerbread Village’ atmosphere upon entering the concourse. 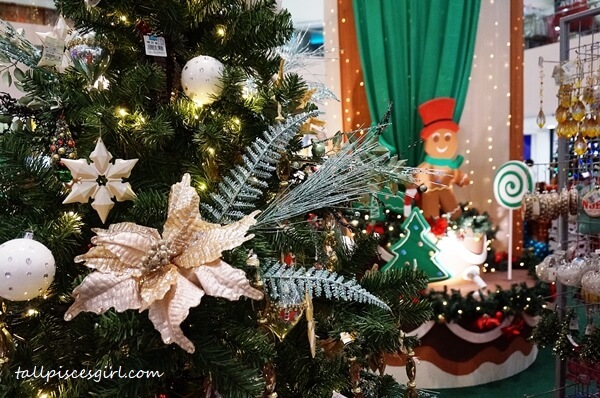 The ensemble is completed with beautifully decorated candy Christmas tree decked with sparkling ornaments and lighting, all elements that make up a Gingerbread Village. 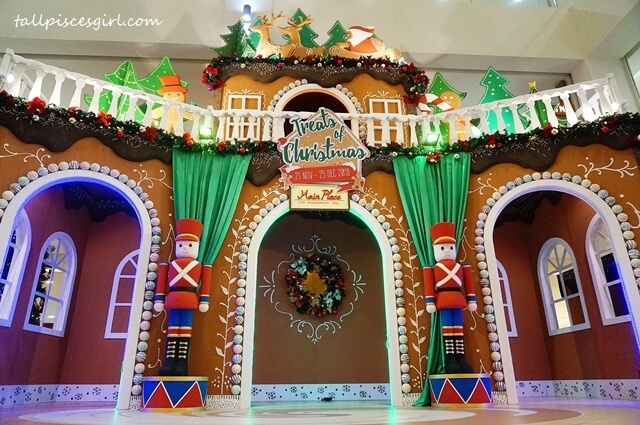 The highlight of the decorations are oversized confectioneries exhibits such as candy cane sticks, big lollipop, marshmallows and gigantic candies surrounding the Gingerbread house accompanied by its bright shimmering lights. To top it off, the gingerbread house is guarded by two nutcrackers standing tall at 5 feet each. 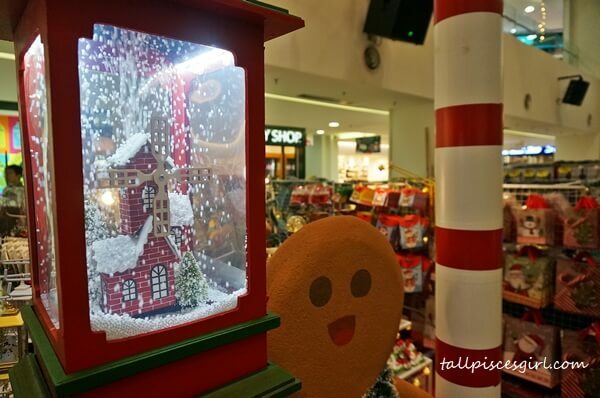 Shoppers can also appreciate a cute photo opportunity with the adorable decorations at the entrance island seen with little gingerbread man and his home greeting you as you enter the mall. Christmas is the season of giving. Hence, Main Place Mall decided to spread a little love and cheer a Palestinian refugee family through The Picha Project, an impact-driven enterprise that empowers marginalized groups in Malaysia to be self-sustainable by providing them a platform to cater food to the public. The team from Main Place Mall will be visiting their home, sharing conversations and stories over a meal prepared by the family and exchanging of gifts. 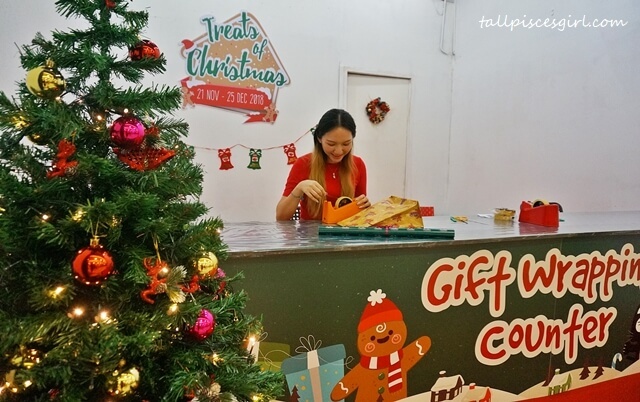 Ensuring shoppers the full experience of Christmas joy and spirit, an array of family activities suitable for all ages are lined-up such as Baking Clay Ornaments Workshop, Sewing Craft Workshop, Terrarium Workshop, Paper Plate Christmas Craft Workshop and Wind Chime Craft Workshop. 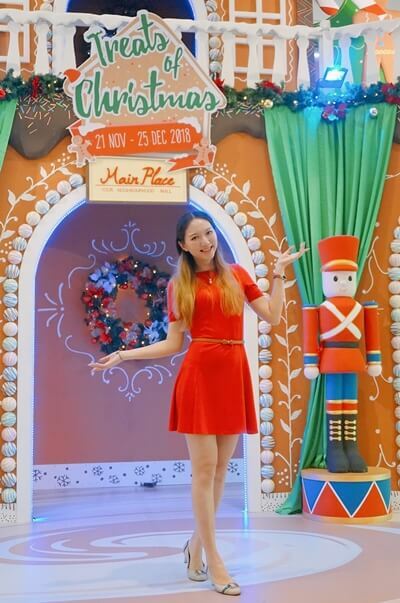 Performances ushering the Christmas mood will be Man in Balloon Show, Christmas Orchestra, Unicyclist Elf Performance, Puppet Show, Duo Comedy Juggling Show, Christmas Busking Performance and special character appearances throughout the celebration period. Main Place Mall will also be organizing Treats of Christmas Colouring Contest at Christmas Garden, Level 1 on 8th December at 12pm for the little ones to express themselves through the form of art this Christmas and registration is absolutely free. All you need to do is register online at https://bit.ly/mpcolouringcontest. 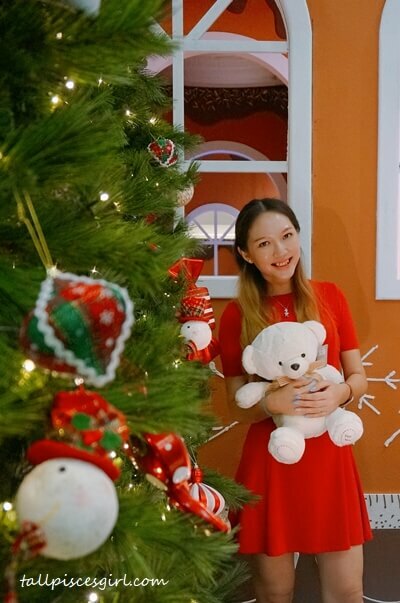 A Christmas Par-Tea exclusively for Main Place Juniors will take place on the 23rd December at 2 – 5 pm. This will surely get the little ones prancing around in excitement as they are allowed to bring one friend along to enjoy treats and activities such as story-telling and various fun games. Register for this fun activity at https://bit.ly/mpchristmaspartea. 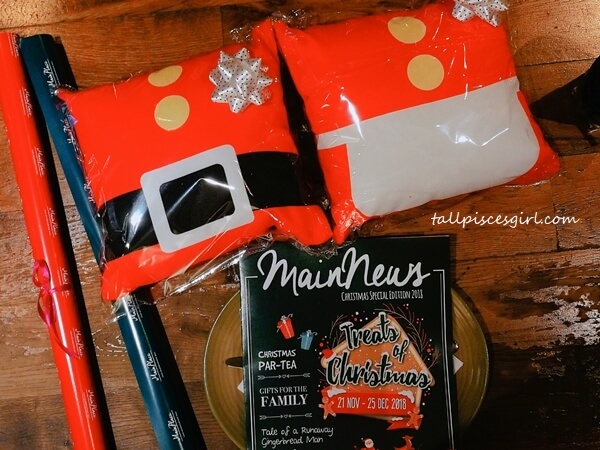 Redeem exclusive Santa & Santarina pillow here! 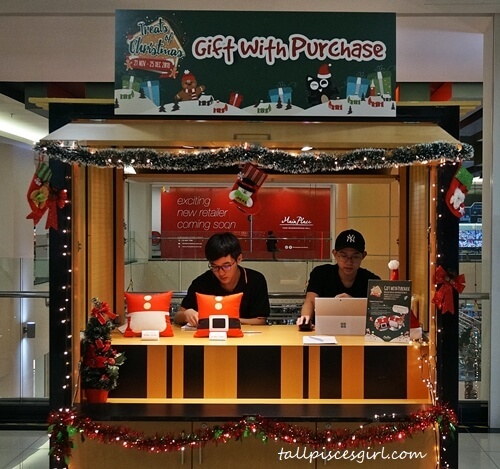 This holiday season, Main Place Mall has prepared a wonderful gift-with-purchase reward. Receive an exclusive Santa & Santarina pillow with a minimum purchase of RM250 and above in a maximum of 2 combined receipts on the same day. Redemption is limited to 50 sets daily with terms and conditions apply. 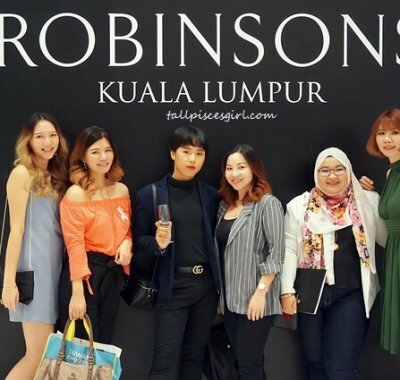 The redemption period runs from 21 November to 25 December 2018. 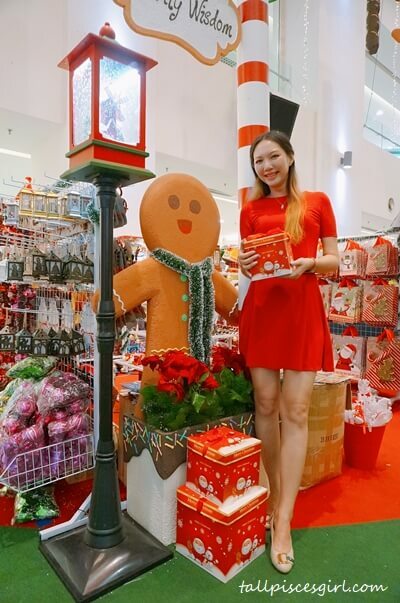 To add more meaning to the season of giving, Main Place Mall will be offering free gift wrapping service with a minimum purchase of RM50 and above in one single receipt on the same day. 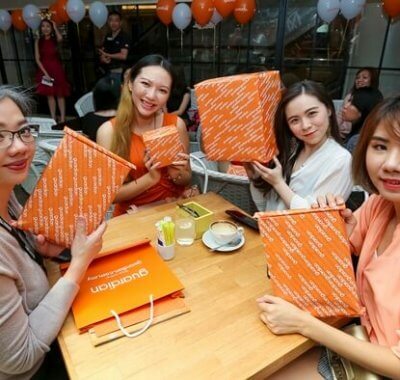 The free gift wrapping service runs daily from 1 December – 25 December 2018 from 12pm – 10pm at Level 2. Hello, I’m Santarina of the day! For more information on the activities, performances, and workshops scheduled, visit Main Place Mall, USJ website at www.mainplace.com.my/index and social media pages, Facebook and Instagram.